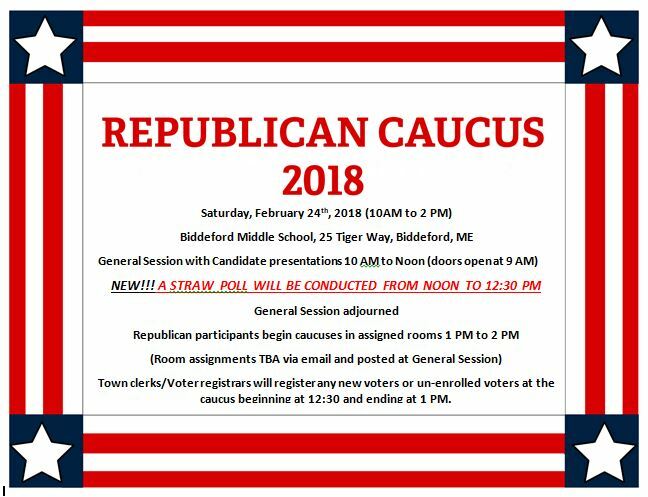 On Saturday February 24th, most of the York County towns participated in the 2018 York County Republican Caucus. We had a huge turnout of candidates and there was a straw poll held where Shawn Moody won the Gubernatorial poll while Eric Brakey carried the US Senate poll. Let’s go GOP!